Bill Babcock was born in 1944 in New Jersey. He enlisted in the Alaska Army National Guard in 1963, and went on active duty to attend Infantry Officer Candidate School at Fort Benning, Georgia, beginning March 14, 1965, graduating with a commission as a 2d Lt on May 25, 1965. His first assignment was as a Company Training Officer with the Infantry Training Center at Fort Benning, Georgia, from 1965 to September 1966, followed by Rotary-Wing Pilot Training at Fort Wolters, Texas, and Fort Rucker, Alabama, from October 1966 to October 1967. 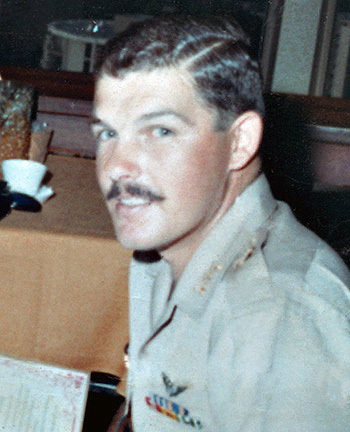 Lt Babcock then served as a UH-1 Huey pilot with Call Sign Red 25 (2nd in command), Weapons Platoon, B Troop, 1st Squadron, 9th Cavalry Regiment of the 1st Cavalry Division in South Vietnam from November 1967 to November 1968. During this time, he was captured and taken as a Prisoner of War after his helicopter was shot down on January 31, 1968, and managed to escape from his captors the next day, on February 1, 1968. His next assignment was as Airfield Commander at Schwaebisch Hall Army Airfield, West Germany, from January 1969 to September 1970, followed by service as Assistant G4 for the 14th Aviation Group at Schwaebisch Hall from February 1972 until he left active duty on June 29, 1973. Capt Babcock was later discharged from the Inactive Reserves in 1985. After leaving active duty, Bill worked as a pilot and technical representative for the Office of Aircraft Services for the U.S. Department of the Interior from 1980 to 1998, and currently works as an Aviation Safety Inspector (Operations) for U.S. Aid in Afghanistan. For heroism while participating in aerial flight evidenced by voluntary action above and beyond the call of duty in the Republic of Vietnam. 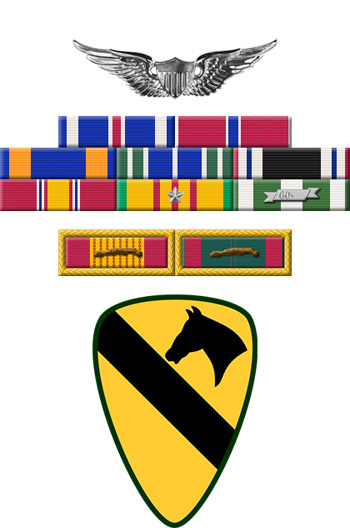 First Lieutenant Babcock distinguished himself by exceptionally valorous action on 31 January 1968, while serving as an aircraft commander of an armed helicopter during a combat mission near Hue, Republic of Vietnam. While performing visual reconnaissance of a battle site, Lieutenant Babcock's aircraft came under intense hostile ground fire. Disregarding his own safety, he flew his helicopter at a low altitude and low speed to gather the needed information. When his aircraft received numerous hits, Lieutenant Babcock skillfully flew the damaged helicopter to safety. His outstanding flying ability and devotion to duty are in keeping with the highest traditions of the military service, and reflects great credit upon himself, his unit, and the United States Army.